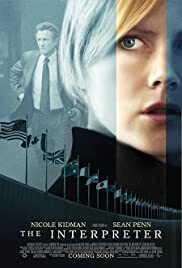 Political intrigue and deception unfold inside the United Nations, where a U.S. Secret Service agent is assigned to investigate an interpreter who overhears an assassination plot. What Does the Abbreviation W.W. Stand For? Simon Broome: She wouldn't tell me her husband's name. She wouldn't even write it. Sydney Pollak has directed a lot of good films over the last 40 years, and this, though not his finest work, is one. But it's just 'good'. Pollak has a great sense of pacing and character development, and he puts both to work to good effect in this suspenseful high-stakes terrorism drama. Kidman and Penn deliver solid and memorable performances and are joined by an excellent supporting cast. The acting talent, clever though predictable plot, superior production and cinematography, and fearlessly quirky script are what makes this film work, despite a few rather absurd plot points. There are some problems with believability here. Most glaring is the fact that the intelligence agents and security people investigating Kidman and the plot to kill a genocidal African president in the U.N. are depicted as anything but intelligent. The identity of the perpetrator and the nature of the intended crimes should have been more or less obvious about half-way through the film, and the security team should have had a trap set and armed personnel crawling all over the entire building. 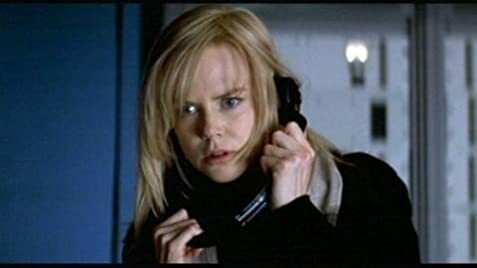 It is also unlikely that anybody in Kidman's predicament would have been allowed to continue with unrestricted access to the UN, at virtually any time of day or night, more or less unwatched. And it is even more problematic that somebody with her background should be working at the UN in the first place. The actors' performances and the relationship which develops between the two main characters (which is really at least half the plot) help to gloss over the minor problems and make the film very entertaining and suspenseful. There are also some potentially powerful political messages just below the surface, but I never felt that these messages really emerged, and was left wondering if theyr were simply artistic flourishes or perhaps, posturing. 31 of 51 people found this review helpful. Was this review helpful to you?